Webinar Recap: The New Ecommerce Dilemma: Buy, Build, or Leverage? Home Archives Webinar Recap: The New Ecommerce Dilemma: Buy, Build, or Leverage? 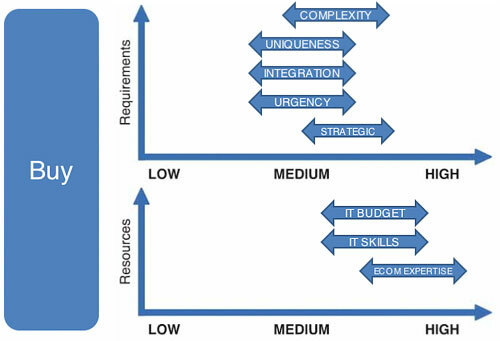 “Software-as-a-Service (SaaS) is a software deployment and subscription pricing model in which an enterprise application is delivered and managed as a service by software vendor to meet the needs of multiple customers simultaneously” – THINKStrategies, Inc.
What is an ecommerce framework? An ecommerce frameworkis a system providing feature rich ecommerce functionality that can be extended by your internal IT team, system integrators, or vendor. What is a hosted managed model?Your ecommerce services are hosted and managed by a vendor but with the option to take it in-house at any point. Brings element of SaaS into operational model. ComplexityConsider how your ecommerce needs may change over time (at least 3-5 years ahead). 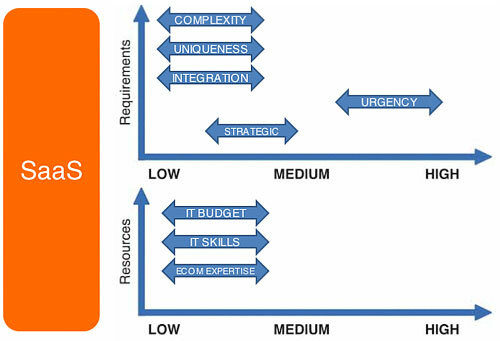 Do you have single or multiple ecommerce initiatives? What does your organization sell? — Single catalog or many different types of products and services? How will you deliver the ecommerce experience? What type of ecommerce? B2C, B2B, Both? Evaluate your ecommerce ecosystem. Do you plan to provide ecommerce services to your vendors, partners, customers, or resellers? How different are those offerings from your own? Do you have a unique business model, selling channel, or product? Are you creating an innovation to stay ahead of your competitors? Do you have a current solution? How much time to you have to develop a new solution? Will this ecommerce solution be rolled out to one or more business units all at once or one at a time? How strategic is ecommerce to your success? Is time to market critical to your success? How fast will your ecommerce needs evolve? Are you taking a global or local approach? Do you have enough budget (i.e., capital and recurring expenses)? Will this cost be shared amongst different departments? 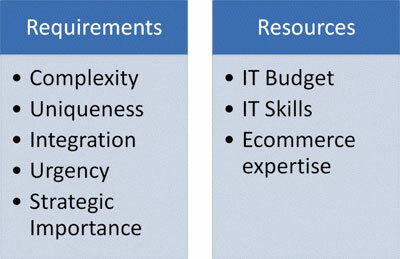 Do you have an experienced IT team that can drive ecommerce initiatives? 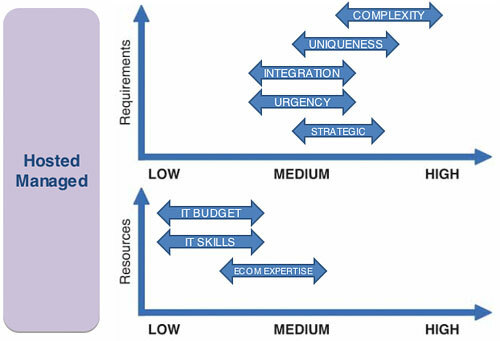 What are your IT policies on in-house development? Do you have trusted SI or partners that you can rely on? Have you managed online stores before? What is your organization’s experience in online marketing, site optimization, customer support? Will you need to coordinate online and offline channels? Do you have experience using Web 2.0 social networking? When to use a hosting solution (SaaS)When your competitive advantage is not your unique ecommerce features but your unique brand, merchandising, and marketing. Talking to IT budgets/pricing, are there some estimate budget ranges between models? You can only compare relatively – can’t talk in absolute numbers because it depends on your requirements. SaaS is typically for lower budgets, then buy, then build the most expensive. 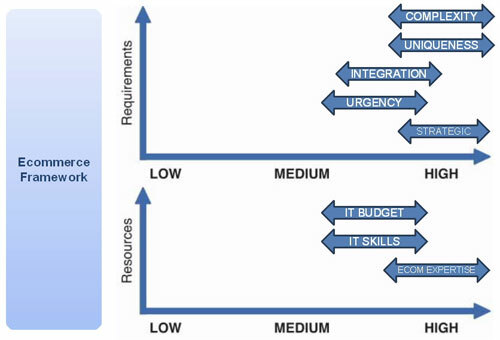 Can you elaborate on the hosted managed model? 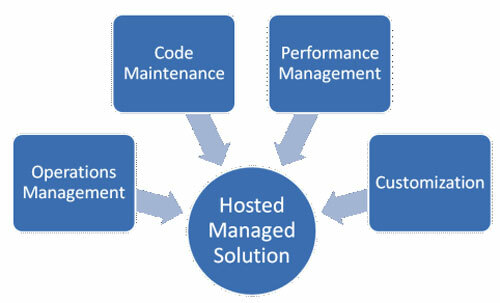 Hosted / managed is where you buy the system or license the software, operated by vendor with dedicated hardware and also can be modified for you. For example, Elastic Path does the Vancouver 2010 Olympic store. The Olympic Committee decided to go with the hosted/managed model because they didn’t have the IT or marketing/merchandising/operations staff to carry the project. 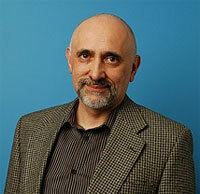 In your opinion, what business model will be most prevalent in 2009? There are many different customers looking for ecommerce solutions – so it really depends whether you are enterprise or middle market – there are 2 different trends. Smaller retailers / mid-market in this economy are going toward SaaS and enterprise with complex needs they’ll use a build from scratch or framework to build on top of to meet the needs that SaaS can’t address out-of-the-box. Can you think of any risks going with a SaaS offering? 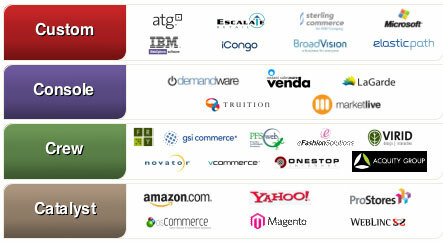 Do you see SaaS offering sufficient flexibility for ecommerce projects in the future? 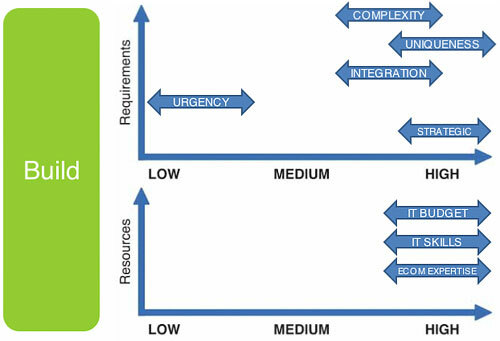 SaaS vendors are working hard to increase flexibility of their offering but the limitation of the model is the majority of their customers may not need/want the innovation. You don’t want to disrupt the happy situation of customers by building things they will never use but their service fees pay for the development of. Another risk is that your SaaS vendor may face financial trouble and if they go out of business, you have no option to quickly take in house. You’re dependent on your vendor. Does Elastic Path have a European presence? Yes, we have a UK office to serve the EU. How do you determine ROI for ecommerce projects? How strategically important is this decision for you? Are you looking for a solution that will help you grow your business? Ecommerce is still in early stages of growth so many companies look to new markets/new offerings and ecommerce allows them to do it. Your ROI depends on many factors. The time to recoup the money you invested and see ROI also depends on how complex your solution was. What are the technical aspects of open source and Elastic Path? EP is built with best of breed open source components (Java based). Your developers don’t need rare skills to work with it. In general, Bill Mirabito in Selecting the Right eCommerce Software in Six Weeks or Lessclassified open source as “Catalyst” – you can use open source if you really need to have a simple solution and faster time to market.